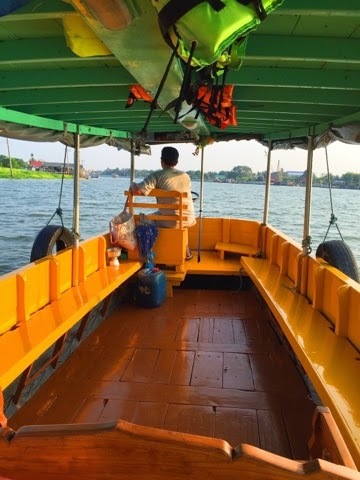 We are taking a boat out to Ko Kret Island on the Chao Praya river to check out the market and to meet and greet for a job idea that we are in the making of. 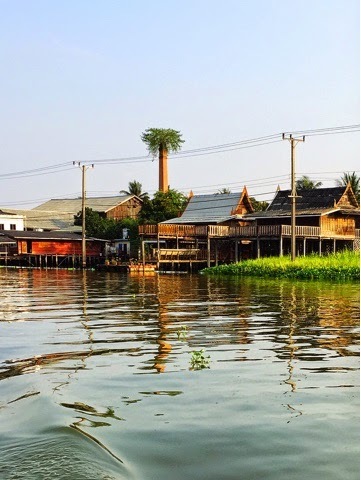 What a wonderful time it is to take a boat around and see something completly different. 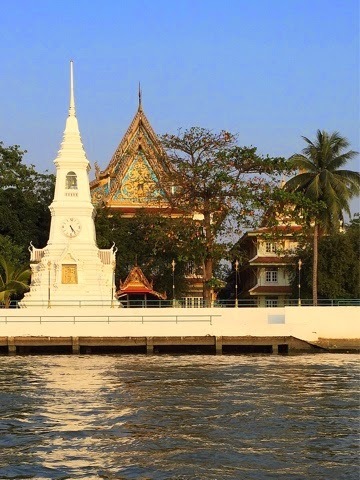 Bangkok is so large and varied you can always see something new. We got a wonderfully well painted wooden boat. The hostess of the mostess is Ann who is showing us around. PM has been here before, but I never have. 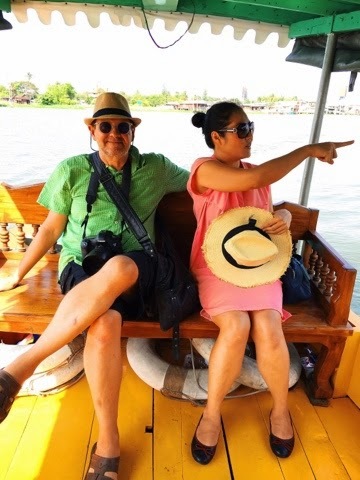 Pm&Ann live partly here in Bangkok and are friends and partners in work for a long time. 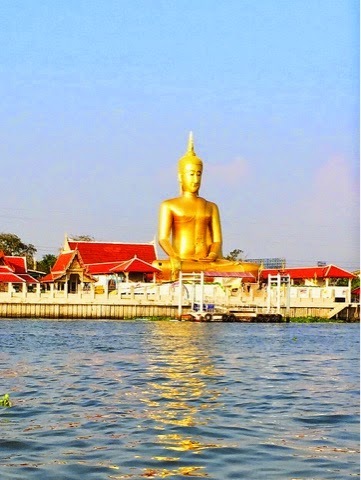 Amazing Golden Buddha seen from the boat is very powerful. 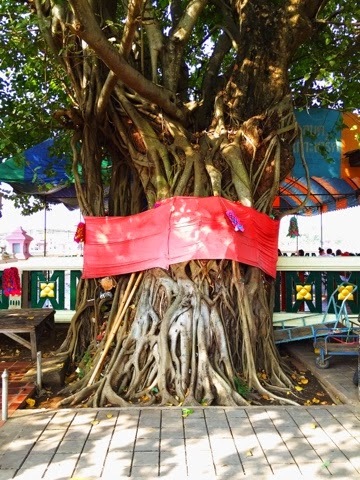 This beautiful tree trunk has a huge ribbon because it is believed to have special powers. Off course it does! All trees do. But this one seems extra special don´t you think ? 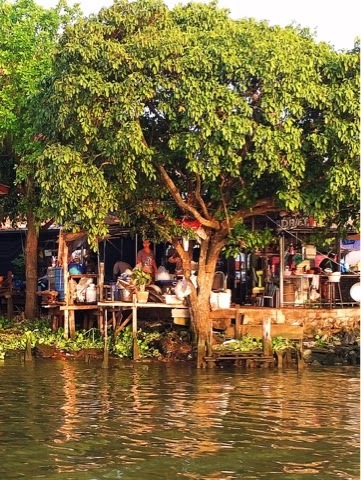 Love all the containers in organic material that has always been used in Thailand and still is. 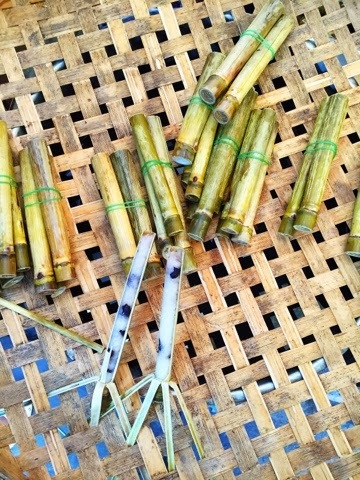 Here sticky rice is kept in cut pieces of bamboo. The rice tasted wonderful as well !! 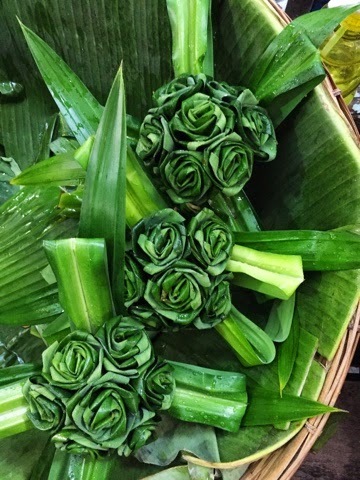 Making roses out of leaves is an art. So many cosy hangouts and restaurants around this area. Both luxury and tree houses like this. 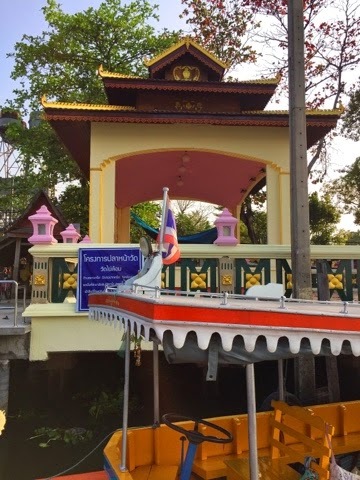 Several temples are seen on the way. 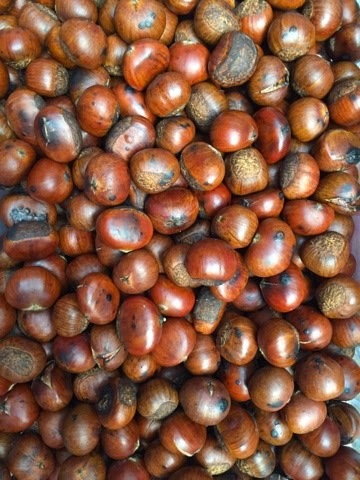 Food,drink ,fruit and chestnuts are sold everywhere.